Welcome everyone to another edition of Monday Night Raw! Last week, Braun Strowman went full-on Michael Myers and murdered Roman Reigns. We were told that night that Roman has suffered a separated shoulder, cracked ribs, and internal injuries, and yet he returned to action at a house show the other night and attacked Strowman. It’s unclear if Reigns will be on Raw tonight, he shouldn’t be for logic’s sense, but I wouldn’t be surprised to see him show-up. If he doesn’t appear, I’m not sure what Strowman will do. Also on last week’s show, Alexa Bliss and Mickie James debuted on Raw, while Charlotte moved to SmackDown. This provided a much-needed shake-up to the division, no pun intended, although Nia Jax still ran through everyone. Rumour has it that we’ll be getting another multi-woman match for Bayley’s Women’s Championship at Payback, with Bliss, James, Jax and Banks, all looking to take part. Elsewhere, the tag team division is finally heating up with The Hardy Boyz facing Sheamus and Cesaro, while The Revival look set to face Enzo & Big Cass or The Club. After beating The New Day two weeks in a row, before the group moved to SmackDown, The Revival are the team with the most momentum right now. During a tag team match last week, Elias Samson was seen on the ramp, and then drifting through the crowd in a great shot, and WWE.com is teasing his debut on Raw tonight. Samson lost a match against Kassius Ohno in NXT, forcing him to leave the brand. And then there’s Seth Rollins, who was attacked by Samoa Joe at the end of last week’s show. These two are finally set to collide after their proposed match before WrestleMania had to be scrapped. This could be a really great match, one which Joe should win since he hasn’t had anything to do since debuting. All this and lots more to look forward to on tonight’s show. 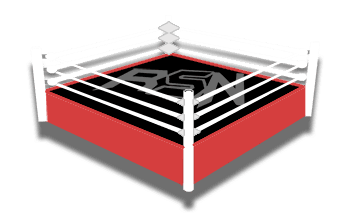 Let us know what you’re most excited about, or angry, check out the Ringside News app, and enjoy the show!